Video durations vary from 5 minutes up to 3 hours. TOC.tv is the largest and most comprehensive source of Theory of Constraints (TOC) learning and training VIDEOS. Access any of the TOC videos, including the exclusive and original programs and presentations of Dr. Eliyahu M. Goldratt, 24 hours a day, 7 days a week. Our powerful search menu is designed to filter videos based on your selected criteria and then the detailed descriptions and classification of each video will allow you to easily and quickly select the right video for your needs. EVERY video has an EXCERPT to evaluate its content. A constant growing library of videos - including presentations from Dr. Goldratt never released to the public. Exclusive pre-release for TOC.tv Members! Your membership rate is guaranteed. Once you have become a member, your rate is locked in and it will NOT increase. You may cancel your membership renewal at anytime! Premium videos such as The Goal Movie, The Gestalt of TOC, and more. The most comprehensive selection of the right videos for your personal development & training needs, including presentations from the Theory of Constraints (TOC) Community and Conferences. Web access to the TOC Insights developed by Eli and Rami Goldratt. You will be able to view every video available on TOC.tv including the Premium videos PLUS you will have Web access to the TOC Insights 4 sessions. As soon as new videos are uploaded to TOC.tv you will be the first to be able to watch them immediately..
What is the biggest advantage of using TOC.tv? TOC.tv is the largest and most comprehensive source of TOC learning and training videos. Yet we understand that your attention must be focused on the things that are most critical to your goals, and viewing the right TOC videos can provide knowledge to significantly assist you in achieving your goals. Our powerful search menu is designed to filter videos based on your selected criteria and then the detailed descriptions and classification of each video will allow you to easily and quickly select the right video for your needs. The viewing is unlimited for the ONE concurrent access. However, if two computers are logged in at the same time with the same login name, the full video access will not be available. Click here to read the Licensing Terms & Conditions for TOC.tv. When can I sign up for this offer?
. You may sign up during the promotion dates. If the promotion dates have closed, please contact us and we will let you know when the next opportunity is scheduled. What are the terms of the monthly subscription? Once your monthly subscription starts, you may continue the subscription for as many CONSECUTIVE months as needed. You may also cancel renewal at anytime. However, once the subscription is canceled, then the special rate is no longer available, and if you want to purchase FULL TOC.TV access, it would be done at the going subscription rate at that time. How does the payment work for the monthly subscription? Once you have placed your order for a monthly subscription, your payment will be processed. Payment can be made by credit card, bank transfer or USD check. Every month, the subscription will be automatically renewed. Credit card payments will be charged automatically 5 days before the monthly viewing ends, unless canceled before that. Bank transfer and check payment must be received 5 days before viewing ends in order to be processed and for continued viewing. Once the payment has been processed, you will receive an Email notification with the viewing access information. Your TOC.tv Membership provides you with Full Access to ANY video available on TOC.tv during the subscription period. Your TOC.tv Membership starts at the moment the purchase has been successfully processed. 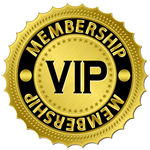 The membership purchase is a subscription with automatic renewal. The renewal can be cancelled at anytime. Certain restrictions apply. Special offers & promotional memberships may not be eligible for automatic renewal. Once a special membership period has ended, if a user would like to enroll with a new membership subscription, it must be done at the rate available at that time. Access to videos on TOC.tv is given under these License Terms and Conditions. Note: The individual membership is for unlimited viewing for the ONE concurrent access.